Born in 1971 in Denver, Colorado, Steiger attended Brown University, Providence, Rhode Island with a merit-based scholarship. In 1994 she received her Bachelors of Art in Visual Arts. During that time she also attended the Rhode Island School of Design studying drawing, visionary illustration, and book illustration. In the spring of 1993, Steiger went to the Studio Art Centers International, Florence, Italy to study graphic design, sculpture, jewelry and batik. From 1995 to 1996 Steiger attended Il Bisonte, Scuola Internazionale d’ Arte Grafica in Florence, Italy studying intaglio, woodcut, paper conservation. At this time she had a solo exhibition in Florence. In 2002 Steiger received a Masters of Fine Art in Printmaking from University of New Mexico. 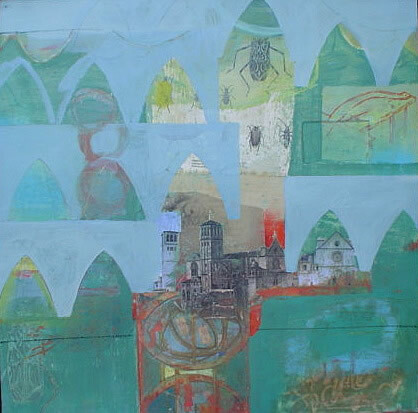 From 2005-2007 Steiger was at the Tamarind Institute, the first year as a student and the second year collaborating with professional artists as an apprentice to Master Printer Bill Lagattuta. 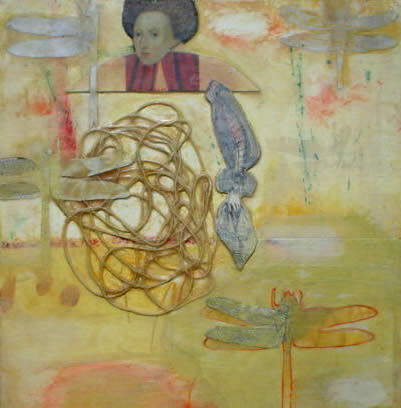 Ms Steiger lives and works in Albuquerque in a variety of mediums. Nature has long been and continues to be the greatest inspiration for her work. She executes exquisite works on paper placing insects and birds in garden-like tableaus or in strangely beautiful architectural settings. Steiger’s varied training gives her the agility to express herself beautifully, using vastly different techniques and combination of materials, whether it be prints, paintings or installations.